A strategic inflection point is a time in the life of business [or industry] when its fundamentals are about to change. That change can mean an opportunity to rise to new heights. But it may just as likely signal the beginning of the end. Where have we been, and where are we going? The rapid shift in regulatory requirements (see my previous blog) and consumer demands has brought food to inflection. No matter how we choose to define them, most in the business agree that 85 million Millennials constitute what I call a “powerful demographic double whammy” because they are both politically active and also fill that 18-34 year-old sweet spot companies covet. Millennials are a tremendously powerful demographic challenging the status quo. As I interact with food companies every day, I get the distinct sense that we view Millennials the way parents might view their teens. Either we are very proud of them and want to provide them with everything they need to “be themselves,” or we are completely horrified every time we toss them the keys to the car. It doesn’t matter either way. Millennials are here to stay. And the older they get, the more they will occupy positions of influence in corporations and in the government. Their emphasis on “corporate governance,” conflates business and politics. Older Xennials and Gen-Xers, as well as younger Gen-Z, are clamoring for “progressive” food options and transparency. Taken as a whole, we have a massive demographic whose demand for greater food options has ballooned into this thing called “health and wellness.” Health and wellness? That sounds political, man. The food inflection point sits on a fault line that is beginning to rumble. 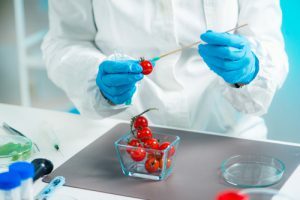 The forthcoming National Bioegineered Food Disclosure Standard will create new federal regulations governing GMO/BE disclosure. 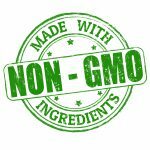 Where labeling is concerned, the new law poses regulatory requirements that may significantly impact a product lines and supply chains whether GMO or Non-GMO. Now is the time for food companies to get ahead of the curve. New approaches are required to keep pace with the rapid rate of change at the inflection point. The growth of a business may depend on it. Some decision makers sitting atop the food industry still choose to operate with a “see no evil” mentality. They “don’t want to know” if the ingredients passed up through their supply chain are actually bio-engineered. 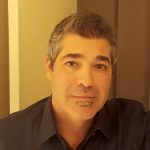 Instead, they are content with “verifications” based almost entirely upon a prescriptive set of best practices with little if any analytical substantiation such as PCR testing. But I can tell you first hand, an alarming percentage of non-GMO “verified” product tests hot for GMO. The NBFDS will take care of that by opening the tap for civil litigation. Accountability will cost you in the new age of corporate responsibility. Other industry decision makers prefer to sit on the fence opting for a sense of stability over change. Their brands are time-honored and pervasive, so why change what has worked for decades? I totally get it; Wall Street might not. Corporate earnings and declining shareholder value will eventually push these companies in a more “progressive” direction by catering to Xennial, Millennial, and Gen-Z tastes and demands. In the end, earnings per share rules the day. It’s not just about big companies buying up little “progressive” companies. It’s about big companies buying into “progressive” trends even if only in the name of shareholder value. Here’s the thing about critical inflection points — not everybody survives. CIP’s are Darwinian. They are a self-corrective mechanism for purging the companies that can’t adopt from the system. With this in mind, I was happy to participate in the following interview. Are there any industry trends in the food industry that stand out right now? Companies across verticals are trying to better understand and capitalize on Millennials. And while we can debate about how to define this demographic, I think we can all agree that they are a major force shaping consumer trends, and that their tastes, demands, and expectations are driving product development. This is clearly a quality issue. I think the Millennials’ demand for greater is challenging the way in which the food industry goes about their business from the shelf right down the supply chain. In particular, the explosion in organic and otherwise non-GMO products reflects this burgeoning demand for products that are thought to be healthier not just for an individual consumer but for the entire global ecosystem as a whole. The food industry is working mightily to address the breadth of this scope. 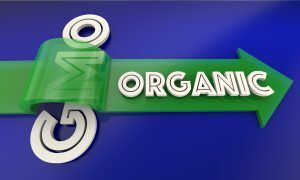 What is the current state of affairs with “organic” and “non-GMO” labeling? Frankly, I’m concerned. The transparency movement is a way of saying, “Hey, we have a right to see how the world is interconnected through this or that product.” Growing demand for organic and non-GMO products is really a part of that. There is a general sense of distrust among Millennial consumers towards both government and big corporations. Look, I get that. Sometimes I feel like I should be wearing a T-shirt that says “non-GMO” every time I post a selfie to keep my street cred. For me, it’s a Quality issue. I’m worried, though, because we are seeing more and more misrepresentation or flat-out fraud in products labeled “organic,” “non-GMO,” and so on. I’ll be honest — I don’t care what the label says or whose logo is on it. We are finding a significant percentage of “verified” organic or Non-GMO products are testing positive regardless of who, if anybody, is certifying it. This disturbs me on multiple levels. So, it’s absolutely imperative to verify the myriad claims out there. Audit and certification are important. But in the end, you have to test, too. Trust but verify — it’s easy enough to do. Do you think the forthcoming USDA regulations will help prevent mislabeling and fraud? The National Bioengineered Food Disclosure Standard is not really about transparency. It’s mostly concerned with technical feasibility. True, disclosure is required for a great many items. At the same time, there are multiple paths to exemption. Also, there are no penalties stipulated for violation at this time other than an on-site USDA audit. This can be unpleasant for sure. But the real teeth in the law line the jaws of the consumer advocacy groups. The results of the USDA audit will be made available to the public via a dedicated, open website. Thus, it seems to me civil litigation will provide a corrective mechanism for validating label claims. The flood gate of corporate accountability is about to be forced open. Quality professionals are accustomed to this and are, rightly I think, taking a seat at the table for discussions about corporate governance. What, then, is the best approach to helping clients protect themselves and remain compliant with the new law? That’s the most important question. For me, GMO labeling is not about sales and marketing primarily. I take a totally different approach by focusing on risk mitigation. That’s why I work most often with QA/QC and corporate counsel. 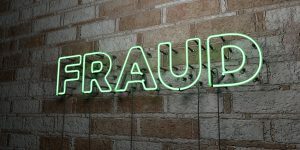 When a company represents claims passed up through their supply chain based solely on some set of best practices, they assume a tremendous amount of risk, especially with these new regulations. I help companies get out ahead of the curve now. I recommend a full risk/compliance assessment of a product line vis-à-vis the regulations to better understand what, if anything, will be required. From there, I advocate for a quality system based on surveillance and risk mitigation not just on the plant level but straight down the supply chain. Audit, certification, and testing – boots on the ground and data-driven accountability – can be customized to meet the needs of Sales and demands of Quality alike. That’s when things really click. Are there new technologies to meet these new legal requirements? It’s all about quality meeting risk mitigation. They are, for me, two sides of the same coin. I have been working very hard with some brilliant R&D scientists to come up with some unique products and services. For example, we have state-of-the-art, DNA-based technology for ensuring authenticity and validating label claims. Real-Time PCR, next generation sequencing… the array of analytical arrows for the quiver is staggering. That said, I am very proud to announce our latest capability – Environmental GMO Swabbing. To my knowledge, there is no other GMO swabbing program on the market. This will give companies, especially manufacturers, deep insight into what’s going on in their facilities. On the audit side, we have developed a program to verify your processing and product procedures on how you’re managing GMO and non-GMO containing ingredients and products within your facility. These audits can be bundled with other audits we do and give companies another surveillance tool for ensuring their programs comply with their, their customers’ or other programs about non-GMO claims.